Ever since the refreshed design of the Model S was announced, a question remained unanswered: whether the vehicle is now equipped with more sensors than the previous build versions. 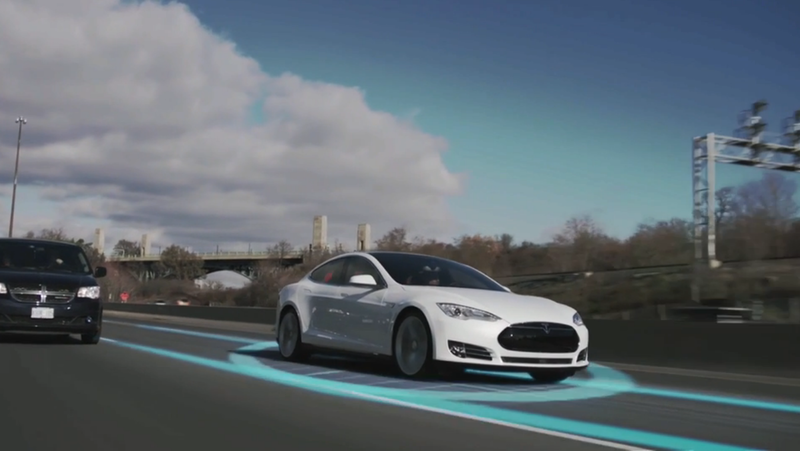 Tesla is known for silently rolling out new features to its fleet through software updates, such as Autopilot in the version 7.0 last year and battery capacity upgrade this year. 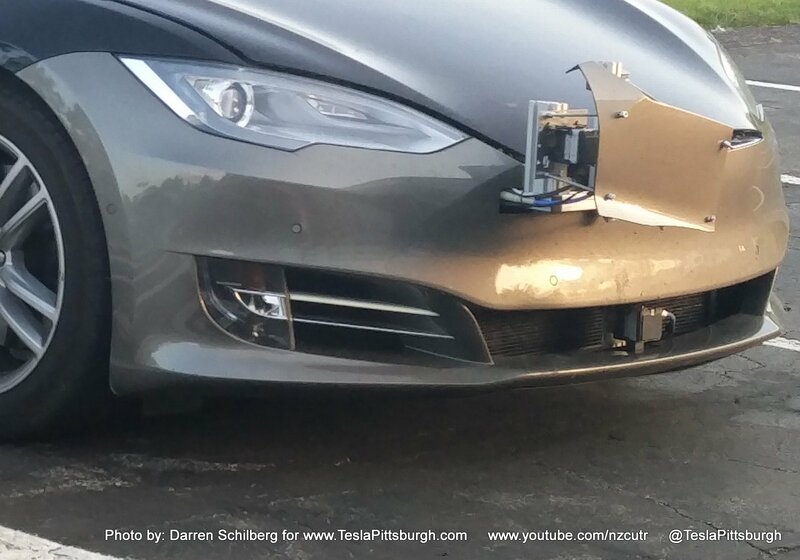 According to Techno Buffalo, Tesla's Autopilot 2.0 will be released soon with "a dual camera system capable of recognizing and reacting to stop signs and traffic lights with no driver input," quoting a source close to the company who spoke on the condition of anonymity. While this should be taken with a grain of salt, there are many reasons to believe a second generation of autonomous driving system is right around the corner, especially after the fatal incident in May in Florida, raising concerns of possible misuse of Autopilot features, combined with the limited ability of Tesla's radar to differentiate overhead road signs from unusual moving objects. Back in May, a modified Model S was spotted by Darren Schilberg at the Cranberry Supercharger north of Pittsburgh running an extra set of front sensors by way of cut-outs in the bumper, suggesting new hardware features for Autopilot 2. And just last week, electrek.co reported on Tesla's soon to be released software version 8.0 - going in beta phase - with new features, allowing the car to identify the types of vehicles around it and display them not only from behind, but in any angle they are moving, such as perpendicular or turning around a corner. The article hints at more features soon to be revealed when the update is pushed to its current fleet. One of them will likely be the ability of sensors to recognize overhead road signs and traffic lights. 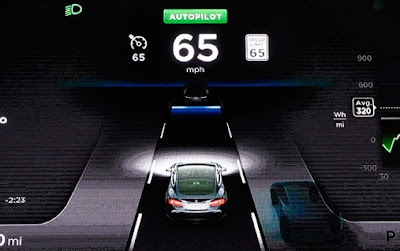 Tesla’s Director of Autopilot Programs Sterling Anderson spoke recently about the future of autonomous driving his team is working on with the main goal to accelerate the world's transition to sustainable transportation and eventually reduce global emissions. 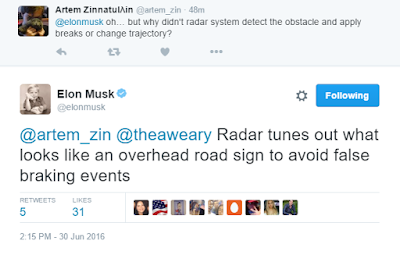 He highlighted how Tesla inertly updates its Autopilot software in order to improve the features on its vehicles. Anderson admitted that Tesla was far behind the curve when the hardware first featured in Model S, back in September 2014, in terms of advanced safety features and autonomy. But they did a very rapid development cycle that leverage uniquely the existence of the hardware on the fleet and their ability to pull data from it and update the software on the cars incrementally. Anderson explained that every safety feature his team develops is included in the Model S and X because they don't think these shouldn't be optional. He then confirmed that the Model 3 will receive the latest technology by the end of 2017, both in hardware and software, as soon as it is tested and implemented on its other models available on the market. Our vehicles will receive the latest technologies as soon as we have it, we won’t wait for a new model to release new technology. We fundamentally choose to eschew the concept of model years... we will not hold any technology for Model 3 that we will not have released already when it is ready on our other models. The Model 3 will have to be produced on a far bigger scale than its previous predecessors, reservations are now hovering around 400,000. Elon Musk stressed that the deadline for suppliers' parts must be by July 2017, which means Tesla team needs to be able to implement Autopilot 2.0 - or even version 2.5 - on its current fleet early enough to guarantee its flawless functionality once half a million Model 3 are destined for road use worldwide. "Bookmark us! No rumors, speculations or bullsh*t analysis. Only facts." "No rumors" didn't last long.